As Australia is the driest continent in the world, we knew a special product was needed for women who are out in the sun most of their day. So, our family at Y Not Naturals brought together the most moisturizing ingredients that are vegan and organic that Australia had to offer. 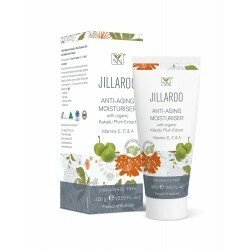 Our focus was to formulate a product in celebration of the Jillaroo – also known at the Cowgirls of the Outback. We worked to make this product the best product a women could have to nurture her skin while at the same time be out in the sun all day. We used the Australian Avocado as the base - and they are special avocados indeed! They are grown under bio-dynamic methods without the use of artificial fertilizers or chemicals. The extra virgin oil is cold pressed, filtered and bottled without the use of heat, solvents or additives. The Australian avocado has an abundance of antioxidants that contain a high percentage of mono-unsaturated fatty acids, vitamins A, B, and D along with being rich in lecithin. All these elements are essential to optimizing skin health. In addition, we have added Kakadu Plum which is particularly effective for sensitive skin, fine lines or wrinkles, dark circles or under-eye puffiness, dark spots. There were many challenges to formulate a product such as this, as the cream needs to penetrate the upper layers of the skin. It is possible because of the ingredients invaluable penetrating and emollient properties. There is simply nothing better for dry and wrinkled skin, burns and sunburns. What Skin Problems Can Kakadu Plum Help? Almost anyone with concerns about improving the appearance of aging skin can benefit from using products containing Kakadu plum. There is a good reason many creams, moisturizers, cleansers, exfoliators, and toners in the market today contain Kakadu plum extract. Rich in Vitamins A, C, D & E, Amino acids, and Mineral!